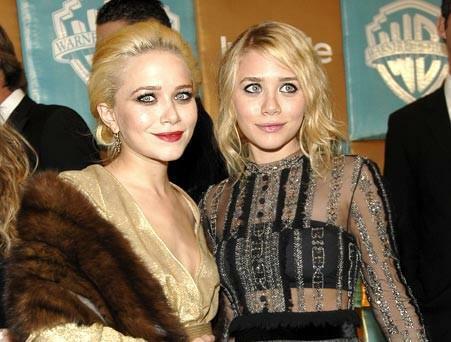 Mary Kate and Ashley Olsen have been on our screens since they were just 9 months old, but my have they come far since then. The twins have gone on to create not one but three fashion labels, all which are causing a stir amongst the LA and New York trendsetters! Mary Kate and Ashley were trendsetters from the start! Mary Kate and Ashley posed cheekily in Tom Ford Pajamas whilst balancing on stilts for Vogue magazine. They revealed how they have gone from the cute girls next door to the ultimate fashion tycoons worth billions of dollars. In fact, the blond trendsetters have been involved in the fashion world longer than many of their older competitors as they told Vogue, ‘we had a collection with Walmart at 12, which was the upper tier of the tween market. It was before celebrity designers.’ They also have earned a hefty sum of cash from their company Dualstar Entertainment which produces movies, TV shows, magazines, video games and basically anything that people will buy! The three fashion labels each have a distinct quality that sets them apart form each other. The Row is their most expensive and smart collection and it has flown off the rails since its release in 2008. Elizabeth and James is casual and contemporary whereas Olsenboye is a more eclectic and contrasting line. With a jacket from The Row starting at around $1150 and mere cardigan costing a hefty $1000 it will be a while before most of us mere mortals are getting a taste of that Olsen style!